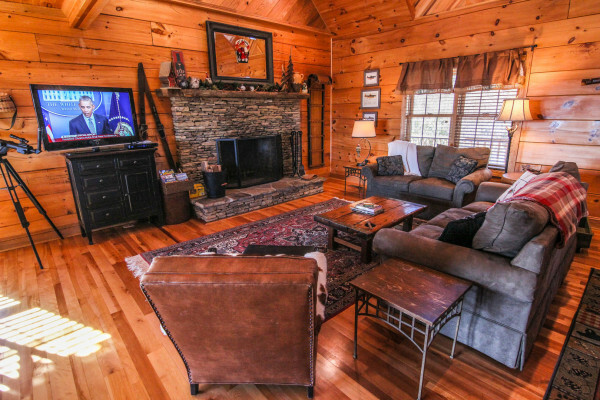 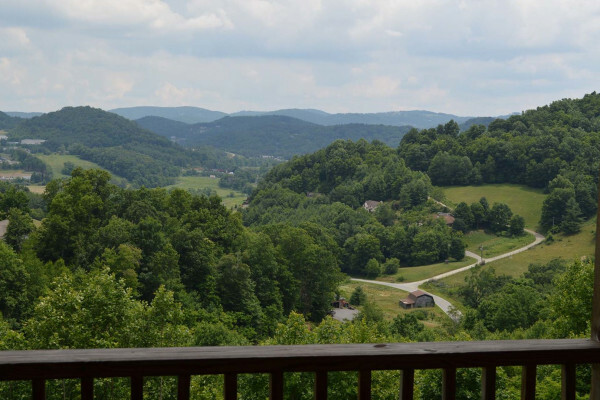 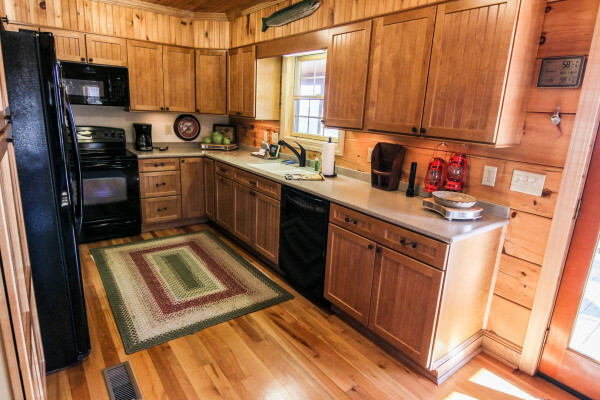 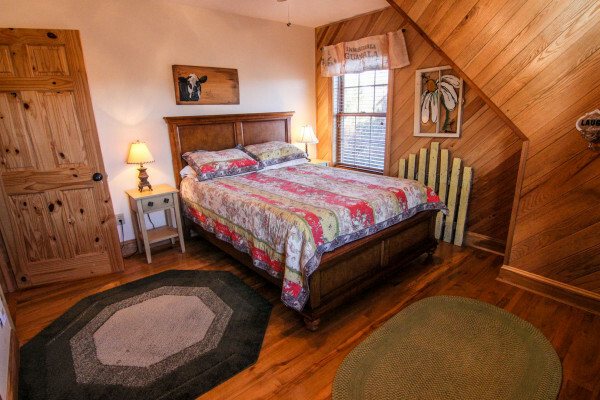 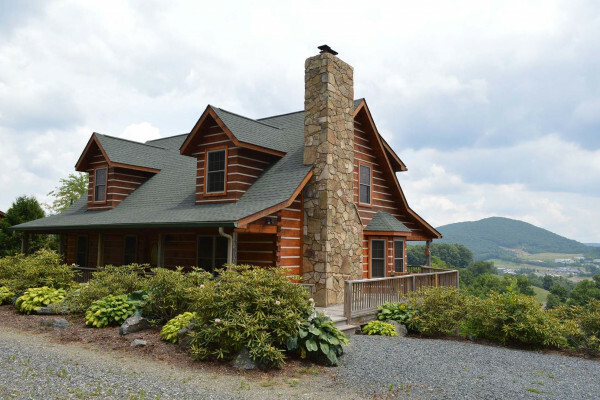 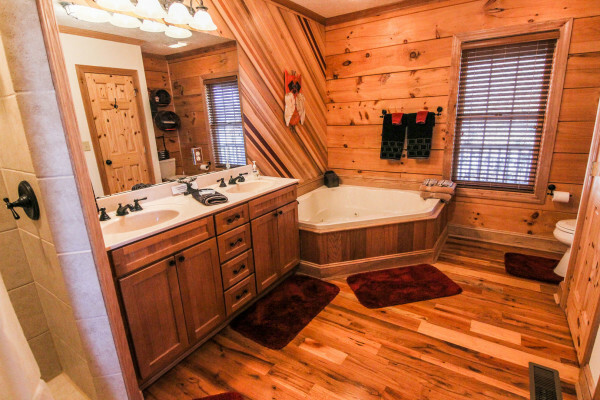 Located just outside of the town of Boone, Appalachian Adventure is a comfortable and open cabin that can sleep 8 guests. 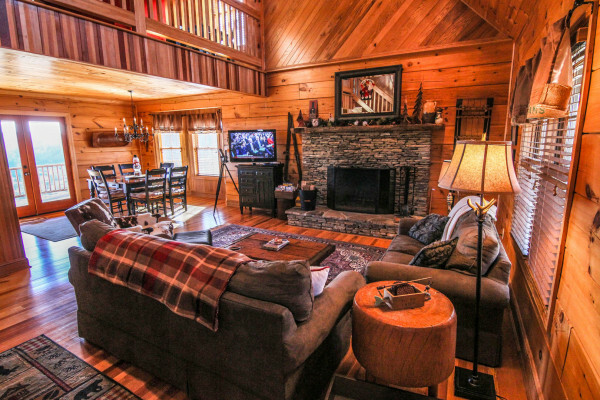 Enter on the main level to find an open family room with suede couches, fireplace, and HDTV. 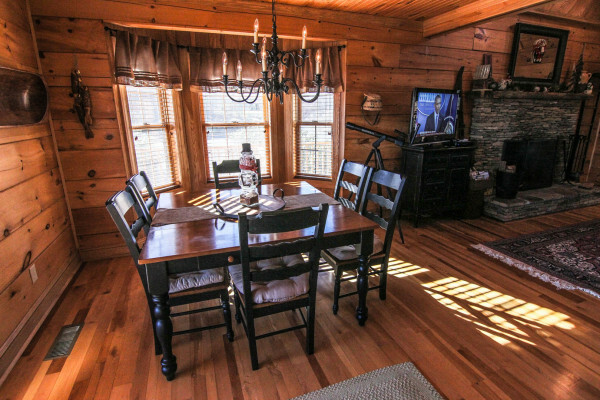 There is a dining table with seating for 6 and great mountain views. 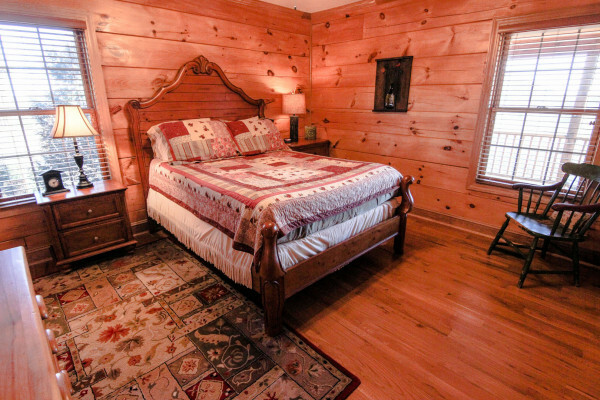 The main bedroom with queen bed is located on this level and has a private bathroom with jacuzzi tub. 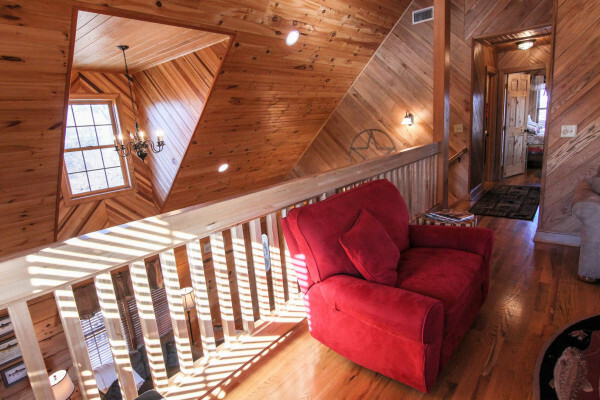 Upstairs is a loft with couches and a TV. 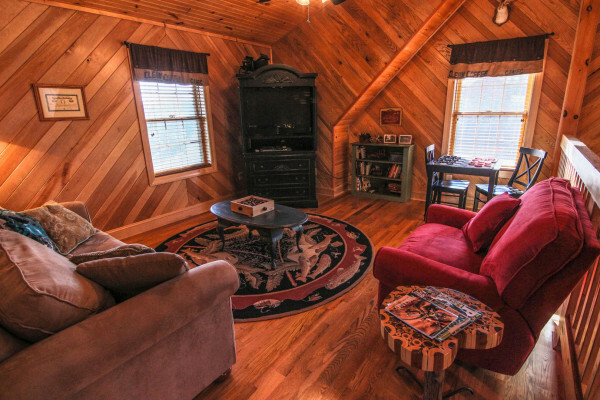 One couch folds out to a queen sleeper. 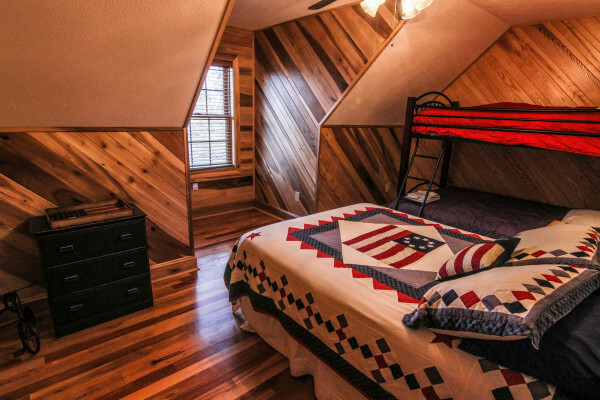 There are two bedrooms upstairs as well, one with a queen and one with a full bed and twin over full bunk. 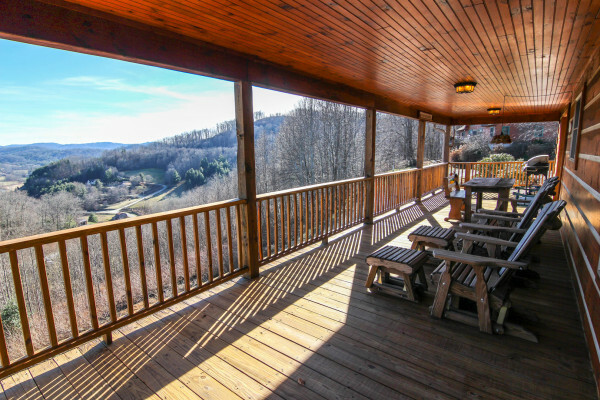 Head out to the deck to find Adirondack chairs and a gas grill.